The electrical industry’s new national show, ED&I takes place 6th-7th September at the NEC in Birmingham offering a comprehensive mixture of exhibition floor, learning experiences and other special interest events. To visit the show for free, visit the show’s website here. Looking forward to highlighting its full turn key solutions, Ecolighting will offer an insight into its core strengths of providing solutions within commercial and industrial environments. The company offers a versatile product range using the latest LED technology, creating bespoke solutions for a large number of applications. Ecolighting is also proud to be a Carbon Trust Accredited Supplier, assessed to BS EN ISO 9001:2008 and is also a member of the Lighting Industry Association, underlining its commitment to deliver exceptional service, quality, technology and value. The company boasts its own design department which uses the latest software for product design and lighting layouts delivering clear and accurate bespoke lighting schemes which focus on where light is needed the most and also reduces waste. All designs meet the requirements of CIBSE ‘Lighting Guidelines’ and as a result of an integrated approach, advancements have been made in optical design, culminating in enhanced performances for the maker’s luminaries in warehouse and industrial environments, especially warehouse racking aisles. Many of the products are made in the UK and Ecolighting has a culture of continuous improvement with a focus on driving out waste and creating customer value. As a Part L registered company, the company is confident its range of light fittings assist in meeting the demands of the regulations. Also as a registered member of the Electrical Contractors Association, experienced project managers, qualified electricians and office-based staff ensure that customers benefit from a complete turn-key service. To see each project from planning to completion. From initial discussions, Ecolighting is on hand to offer impartial advice about the best solutions for the needs of the project ensuring that customer’s operations are at the heart of what is created. Ecolighting says its installation and commissioning engineers are efficient and considerate of all operational requirements during installations. As a SAFE Contractor registered business, safety is put first and the company looks to maintain a clean working environment at all times. Once the project is completed, the service does not end there. 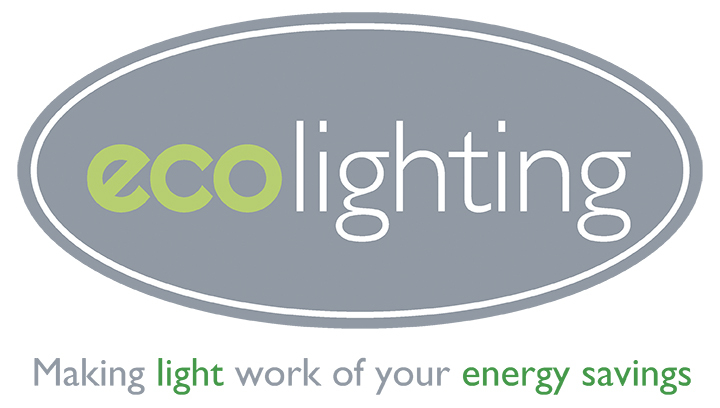 Ecolighting offers support and after-sales care with full documentation and training as well as follow up visits to ensure customers get the most from their new lighting system. A whole host of products for retro fit, installation, recessed, surface, tubes, out-door and high-bay means the company is able to provide whatever is needed for each project.